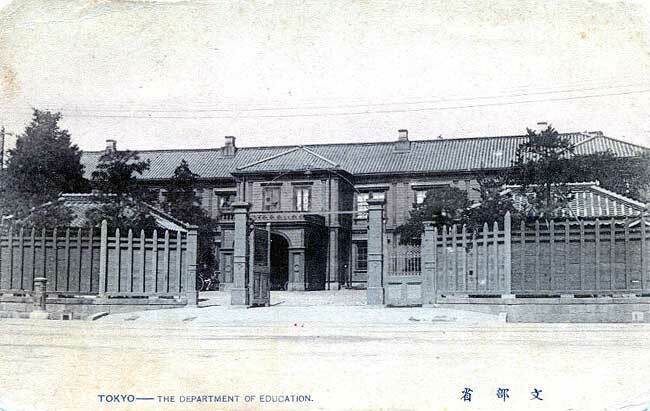 Education in the Empire of Japan was a high priority for the government, as the leadership of the early Meiji government realized the critical need for universal public education in its drive to modernize and westernize Japan. Overseas missions such as the Iwakura Mission were sent abroad to study the education systems of leading Western countries. Education is the process of facilitating learning, or the acquisition of knowledge, skills, values, beliefs, and habits. Educational methods include storytelling, discussion, teaching, training, and directed research. Education frequently takes place under the guidance of educators and also learners may also educate themselves. Education can take place in formal or informal settings and any experience that has a formative effect on the way one thinks, feels, or acts may be considered educational. The methodology of teaching is called pedagogy. The Edo period or Tokugawa period (徳川時代) is the period between 1603 and 1868 in the history of Japan, when Japanese society was under the rule of the Tokugawa shogunate and the country's 300 regional daimyō. The period was characterized by economic growth, strict social order, isolationist foreign policies, a stable population, "no more wars", and popular enjoyment of arts and culture. The shogunate was officially established in Edo on March 24, 1603, by Tokugawa Ieyasu. The period came to an end with the Meiji Restoration on May 3, 1868, after the fall of Edo. In 1871, the Ministry of Education was established, with a school system based closely on the American model, which promoted a utilitarian curriculum, but with the centrally-controlled school administration system copied from France. With the aid of foreign advisors, such as David Murray and Marion McCarrell Scott, Normal Schools for teacher education were also created in each prefecture. Other advisors, such as George Adams Leland, were recruited to create specific types of curriculum. The Ministry of Education, Culture, Sports, Science and Technology, also known as MEXT, Monka-shō, is one of the ministries of the Japanese government. Private schools run by Buddhist temples ( terakoya ) and neighborhood associations were nationalized as elementary schools; feudal domain schools run by daimyōs became middle schools, and the Tokugawa shogunal Academy became the foundation of Tokyo Imperial University (present day the University of Tokyo). Terakoya were private educational institutions that taught writing and reading to the children of Japanese commoners during the Edo period. The daimyō were powerful Japanese feudal lords who, until their decline in the early Meiji period, ruled most of Japan from their vast, hereditary land holdings. In the term, dai (大) means "large", and myō stands for myōden(名田), meaning private land. However, they added a new curriculum which emphasized conservative, traditional ideals more reflective of Japanese values. Confucian precepts were stressed, especially those concerning the hierarchical nature of human relations, service to the new Meiji state, the pursuit of learning, and morality. These ideals, embodied in the 1890 Imperial Rescript on Education, along with highly centralized government control over education, largely guided Japanese education until the end of World War II. In education, a curriculum is broadly defined as the totality of student experiences that occur in the educational process. The term often refers specifically to a planned sequence of instruction, or to a view of the student's experiences in terms of the educator's or school's instructional goals. In a 2003 study, Reys, Reys, Lapan, Holliday, and Wasman refer to curriculum as a set of learning goals articulated across grades that outline the intended mathematics content and process goals at particular points in time throughout the K–12 school program. Curriculum may incorporate the planned interaction of pupils with instructional content, materials, resources, and processes for evaluating the attainment of educational objectives. Curriculum is split into several categories: the explicit, the implicit, the excluded, and the extracurricular. Japanese values are cultural assumptions and ideals particular to Japanese culture. The honne/tatemae divide between public expression and private thoughts/feelings is considered to be of paramount importance in Japanese culture. In Japanese mythology, the gods display human emotions, such as love and anger. In these stories, behaviour that results in positive relations with others is rewarded, and empathy, identifying oneself with another, is highly valued. By contrast, those actions that are individualistic or antisocial are condemned. Hurtful behaviour is punished in the myths by ostracizing the offender. Confucianism, also known as Ruism, is described as tradition, a philosophy, a religion, a humanistic or rationalistic religion, a way of governing, or simply a way of life. Confucianism developed from what was later called the Hundred Schools of Thought from the teachings of the Chinese philosopher Confucius, who considered himself a recodifier and retransmitter of the theology and values inherited from the Shang and Zhou dynasties. In the Han dynasty, Confucian approaches edged out the "proto-Taoist" Huang–Lao as the official ideology, while the emperors mixed both with the realist techniques of Legalism. In December, 1885, the cabinet system of government was established, and Mori Arinori became the first Minister of Education of Japan. Mori, together with Inoue Kowashi created the foundation of the Empire of Japan's educational system by issuing a series of orders from 1886. These laws established an elementary school system, middle school system, normal school system and an imperial university system. The Cabinet of Japan is the executive branch of the government of Japan. It consists of the Prime Minister, who is appointed by the Emperor after being designated by the National Diet, and up to nineteen other members, called Ministers of State. The Prime Minister is designated by the Diet, and the remaining ministers are appointed and dismissed by the Prime Minister. The Cabinet is collectively responsible to the Diet and must resign if a motion of no confidence is adopted by the Diet. Viscount Mori Arinori was a Meiji period Japanese statesman, diplomat, and founder of Japan's modern educational system. ViscountInoue Kowashi was a Japanese statesman in Meiji period Japan. Elementary school was made compulsory from 1872,  and was intended to create loyal subjects of the Emperor. Middle Schools were preparatory schools for students destined to enter one of the Imperial Universities, and the Imperial Universities were intended to create westernized leaders who would be able to direct the modernization of Japan. With the increasing industrialization of Japan, demand increased for higher education and vocational training. Inoue Kowashi, who followed Mori as Minister of Education established a state vocational school system, and also promoted women's education through a separate girls' school system. Compulsory education was extended to six years in 1907. According to the new laws, textbooks could only be issued upon the approval of the Ministry of Education. The curriculum was centered on moral education (mostly aimed at instilling patriotism), mathematics, design, reading and writing, composition, Japanese calligraphy, Japanese history, geography, science, drawing, singing, and physical education. All children of the same age learned each subject from the same series of textbook. During the Taishō and early Shōwa periods, from 1912-1937, the education system in Japan became increasingly centralized. From 1917-1919, the government created the Extraordinary Council on Education(臨時教育会議,Rinji Kyōiku Kaigi), which issued numerous reports and recommendations on educational reform. One of the main emphases of the Council was in higher education. Prior to 1918, "university" was synonymous with "imperial university", but as a result of the Council, many private universities obtained officially recognized status. The Council also introduced subsidies for families too poor to afford the tuitions for compulsory education, and also pushed for more emphasis on moral education. During this period, new social currents, including socialism, communism, anarchism, and liberalism exerted influences on teachers and teaching methods. The New Educational Movement(新教育運動,Shin Kyōiku Undō) led to teachers unions and student protest movements against the nationalist educational curriculum. The government responded with increased repression, and adding some influences from the German system in an attempt to increase the patriotic spirit and step up the militarization of Japan. The Imperial Rescript to Soldiers and Sailors became compulsory reading for students during this period. Specialized schools for the blind and for the deaf were established as early as 1878, and were regulated and standardized by the government in the Blind, Deaf and Dumb Schools Order of 1926. Blind people were encouraged toward vocations such as massage, acupuncture, physical therapy and piano tuning. After the Manchurian Incident of 1931, the curriculum of the national educational system became increasingly nationalistic and after the start of the Second Sino-Japanese War in 1937, the curriculum became increasingly militaristic and was influenced by ultranationalist Education Minister Sadao Araki. In 1941, elementary schools were renamed National People's Schools(國民學校,Kokumin Gakkō)(Translation of German word Volksschule) and students were required to attend Youth Schools(青年学校,Seinen Gakkō) vocational training schools on graduation, which mixed vocational and basic military training (for boys) and home economics (for girls). The Seinen Gakkō　also conducted classes at night for working boys and girls. Normal schools were renamed Specialized Schools(専門学校,Senmon Gakkō), and were often affiliated with a university. The Senmon Gakkō taught medicine, law, economics, commerce, agricultural science, engineering or business management. The aim of the Senmon Gakkō was to produce a professional class, rather than intellectual elite. In the pre-war period, all higher school for women were Senmon Gakkō. After the start of the Pacific War in 1941, nationalistic and militaristic indoctrination were further strengthened. Textbooks such as the Kokutai no Hongi became required reading. The principal educational objective was teaching the traditional national political values, religion and morality. This had prevailed from the Meiji period. The Japanese state modernized organizationally, but preserved its national idiosyncrasies. Emphasis was laid on the Emperor worship cult, and loyalty to the most important values of the nation, and the importance of ancient military virtues. 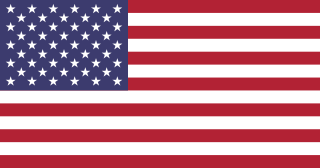 After the surrender of Japan in 1945, the United States Education Missions to Japan in 1946 and again in 1950 under the direction of the American occupation authorities abolished the old educational framework and established the foundation of Japan's post-war educational system. Education in Japan is compulsory at the elementary and lower secondary levels. Most students attend public schools through the lower secondary level, but private education is popular at the upper secondary and university levels. Education prior to elementary school is provided at kindergartens and day-care centers. Public and private day-care centers take children from under age 1 on up to 5 years old. The programmes for those children aged 3–5 resemble those at kindergartens. The educational approach at kindergartens varies greatly from unstructured environments that emphasize play to highly structured environments that are focused on having the child pass the entrance exam at a private elementary school. The academic year starts from April and ends in March, having summer vacation in August and winter vacation in the end of December to the beginning of January. Also, there are few days of holidays between academic years. The period of academic year is the same all through elementary level to higher educations nationwide. The Imperial Rescript on Education was signed by Emperor Meiji of Japan on 30 October 1890 to articulate government policy on the guiding principles of education on the Empire of Japan. The 315 character document was read aloud at all important school events, and students were required to study and memorize the text. Kyushu Institute of Technology is one of the 87 national universities in Japan. Located in Fukuoka Prefecture on the island of Kyushu, it is dedicated to education and research in the fields of science and technology. It is often abbreviated to KIT and sometimes to Kyutech. The history of education in Japan dates back at least to the sixth century, when Chinese learning was introduced at the Yamato court. Foreign civilizations have often provided new ideas for the development of Japan's own culture. Budo Senmon Gakko also known as Butoku Gakko, Bujutsu Senmon Gakko, or Busen, was a school for training young men and women in martial arts. There were four departments; kendo, judo, naginata and kyudo. Takamine Hideo was an administrator and educator in Meiji period Japan. Nagasaki University is a national university of Japan. Its nickname is Chōdai (長大). The main campus is located in Bunkyo-machi, Nagasaki City, Nagasaki Prefecture, Japan. Nihonjin gakkō, also called Japanese school, is a full-day school outside Japan intended primarily for Wajin. It is an expatriate school designed for children whose parents are working on diplomatic, business, or education missions overseas and have plans to repatriate to Japan. Daigakkō is a word used in names of some post-secondary educational institutions in Japan. Its literal meaning is "Grand School" or "Great School". It came from a literal translation of "Grandes écoles" which is the elite higher institutions in France. This word is translated into "academy", "college" or "university" in their English names, and there is not a settled translation. The National Defense Academy of Japan was established École Polytechnique as its model. Nagoya City University, abbreviated to Meishidai (名市大), is a public university in Japan. 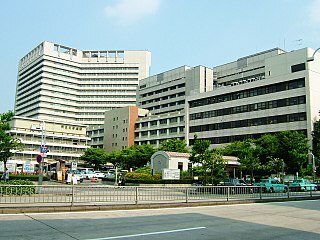 The main campus (Kawasumi) is located in Mizuho-ku, Nagoya City. Other three campuses are also located in the city. Nagoya City University has been ranked the highest among public universities which is also one of leading universities in Japan. Curriculum guidelines is a standard issued by the Ministry of Education, Culture, Sports, Science and Technology　(MEXT) that specifies materials taught at all of elementary, junior and senior high schools in Japan, either public or private. The authority of the ministry to issue the standard is due to the enforcement regulations of the School Education Law. The ministry also publishes the commentary to the curriculum guidelines that accompanies the guidelines. Nominally, the commentary is not legally binding. Diploma in Japanese has 2 meanings. They can be translated into "Senmonshi"(Japanese:専門士), the Japanese original academic degree, and the certificate of graduation. Advanced Diploma is the Japanese original academic degree given to people who had spent more than 4 years and successfully completed a particular specialized course of study at the vocational schools certified by Japanese MEXT. The vocational schools in this article mean a "senmon-gakkō" (専門学校) which means a professional training college and a "senshū-gakkō" (専修学校) which means a Specialized training college. This academic degree was established in 2005 to improve the graduates' reputation and to promote lifelong learning. Its level is equal to Bachelor given by the university. Ochiai Naobumi was a Japanese tanka poet and scholar of Japanese literature of the Meiji Era. He was born as Ayukai Morimitsu and was the biological elder brother of the Korean scholar Ayukai Fusanoshin. Keio Gijuku is a Gakkō Hōjin (学校法人), or incorporated educational institution of Japan registered under the Private Institutions Act of 1949 in 1951. Keio University, which succeeded the original Gijuku under the Edict of Universities of 1920, is also considered one of the oldest and best universities of Japan. Nishiyamato Academy of California is a private Japanese international day school for students from pre-kindergarten through 9th grade, offering a Japanese guideline-based curriculum. The co-educational academy consists of a kindergarten, an elementary school division, and a middle school division with approximately 150 students, all located in Lomita, California, in the Los Angeles metropolitan area. Since March 1996, the academy has been authorized by Japanese Ministry of Education and its successor Ministry of Education, Culture, Sports, Science and Technology (MEXT) as a Private Overseas Educational Facility. ↑ Hopper, Helen (2005). Fukuzaw Yukichi: From Samurai to Capitalist. New York: Person/Longman. ↑ Hopper, Helen (2005). Fukuzawa Yukichi: From Samurai to Capitalist. New York: Pearson/Longman. ↑ Gordon, Andrew (2003). A Modern History of Japan: From Tokugawa Times to the Present. New York: Oxford University Press. Kennleyside, Hugh LI (1937). History of Japanese Education and Present Educational System. ASIN: B000RL6V3C. Khan, Yoshimitsu (1998). Japanese Moral Education Past and Present. Fairleigh Dickinson University Press. ISBN 0-8386-3693-4. Miyoshi, Nobuhiro (2004). Henry Dyer, Pioneer Of Education In Japan. Global Oriental. ISBN 1-901903-66-4. Shibata, Masako (2005). 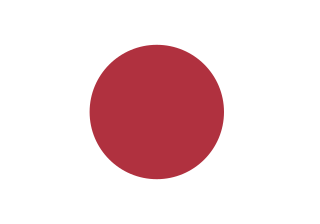 Japan and Germany under the U.S. Occupation: A Comparative Analysis of Post-War Education Reform. Lexington Books. ISBN 0-7391-1149-3. Toyoda, Toshio (1988). Vocational Education in the Industrialization of Japan. United Nations University. ISBN 92-808-0584-3.